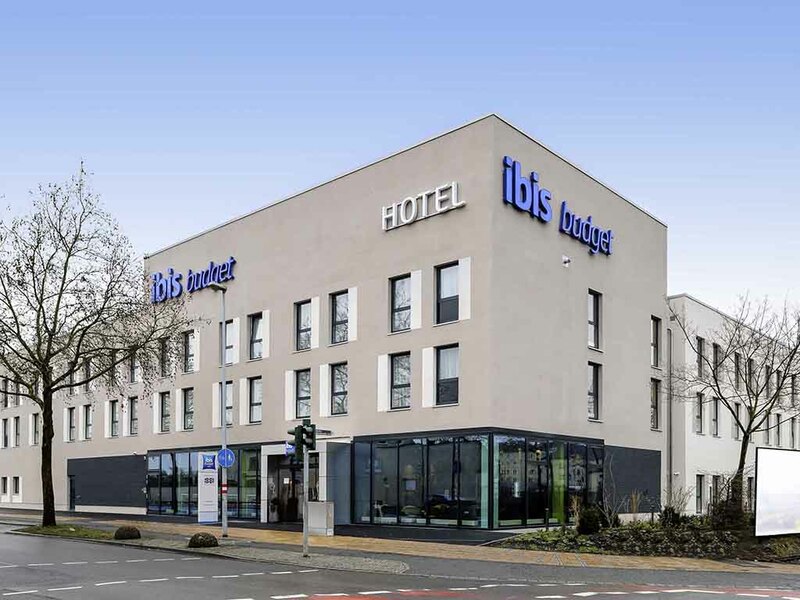 Discover the ibis budget Bamberg, only 218 yards (200 m) from Bamberg main train station, and enjoy your stay in this town in Upper Franconia with its historic town center. With 120 fully air-conditioned and modern Cocoon Rooms, comfortable beds, flat-scr een TV and free WIFI in all areas of the hotel, the ibis budget offers everything you need for an enjoyable stay at an affordable price. The ibis budget Bamberg is easy to reach by public transport, and the main train station is just 219 yards (200 m) away. The hotel is also easily accessible by car. The old town is just three minutes away. The ibis budget Bamberg has 120 Cocoon Rooms with large, comfortable beds. All rooms feature a shower, separate WC, flat-screen television and air conditioning. We have two disabled rooms. You can choose between a Standard Double Room, a room for a maximum of two adults and one child with a French bed and bunk bed, or a Twin Room with two single beds.